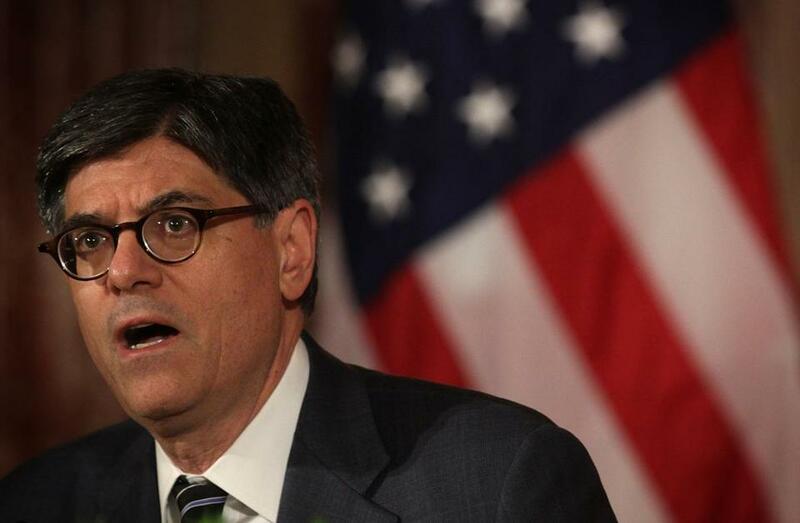 Secretary Jacob Lew said a federal bailout is not planned to help Puerto Rico handle its $72 billion in public debt. SAN JUAN, Puerto Rico — US Treasury Secretary Jacob Lew said Tuesday that creating a path as soon as possible to allow Puerto Rico’s government to file for bankruptcy protection would help the US territory recover from its economic crisis. Lew also stressed that no federal bailout is planned for Puerto Rico, despite concerns its government might default on several upcoming payments as it struggles with $72 billion of public debt. ‘‘Puerto Rico’s fiscal situation is urgent, and I believe it requires the immediate attention of Congress,’’ Lew said in a two-page letter addressed to Senator Orrin Hatch, Republican of Utah. Lew was responding to a July 17 request from Hatch, chairman of the Senate Finance Committee, who wondered what action if any President Obama’s administration was taking on Puerto Rico’s financial crisis. In his letter, Lew said the government does have a critical role to play. ‘‘A central element of any federal response should include a tested legal bankruptcy regime that enables Puerto Rico to manage its financial challenges in an orderly way,’’ he said. Puerto Rico is entering its ninth year in recession. The administration of Governor Alejandro Garcia Padilla has been pushing for the right of its public agencies to file for bankruptcy protection under Chapter 9, but the proposal has not drawn any Republican sponsors. Leading House Republicans have said they worry that allowing such access would not solve Puerto Rico’s financial difficulties. Garcia has traveled to the United States to meet with legislators and Lew on the issue. Pedro Pierluisi, the Caribbean island’s representative in Congress, praised Lew’s letter. ‘‘I will continue to do everything in my power, working with my allies on both sides of the aisle, to move this legislation forward in Congress on an expeditious timeline,’’ he said. US investors are waiting to see whether Puerto Rico’s government might default on a couple of multimillion-dollar payments due by the end of the week. Victor Suarez, Puerto Rico’s gubernatorial chief of staff, said Monday that the government is analyzing which of its responsibilities it will prioritize. ‘‘It will depend on the cash flow and liquidity that the government has to meet each one of its obligations,’’ he said. ‘‘The priority will always be essential services such as security, health, and education,’’ he added. Suarez rejected a report prepared by Centennial Group International for a group of hedge funds that hold a large number of Puerto Rico bonds. The report, released Monday, calls for Puerto Rico to lay off some teachers, reduce Medicaid benefits, and pursue additional public-private partnerships.